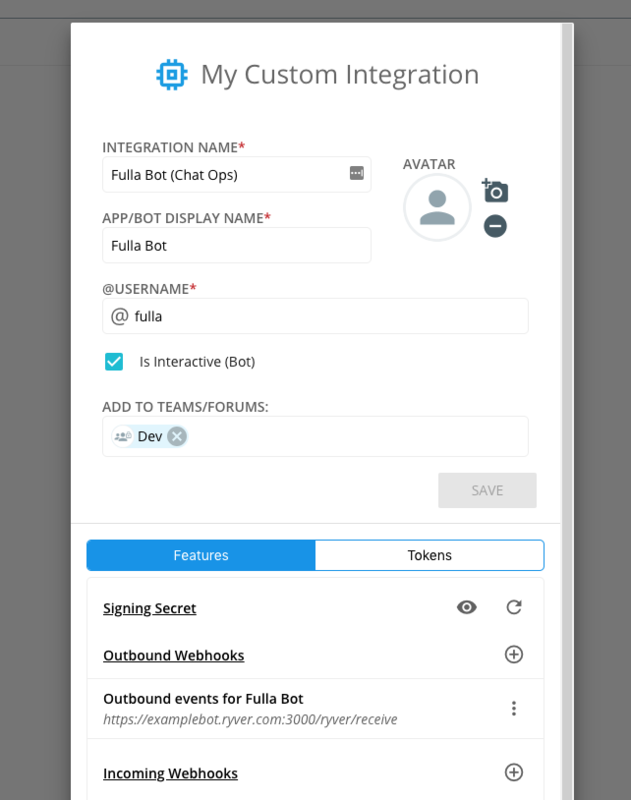 This new integrations feature allows you to define an integration that has its own user and security access token for calling Ryver APIs and creating content in your Ryver organization. This way, if the person who created the integration leaves your organization in the future, your integration content is still safely associated with your special Custom Integration user, rather than an actual Ryver user. 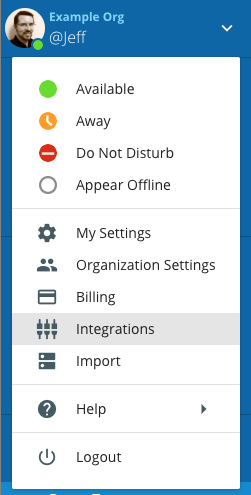 Note: If you already have incoming our outbound webhooks defined, those will still be available from the old webhook tabs in the Integrations dialog. You just won’t be able to create new ones there. Create a Custom Integration to add new webhooks. Note: If you will be creating a Bot, be sure to check “Is Interactive (Bot)”. This will make your integration user show up in user lists for @mentions. 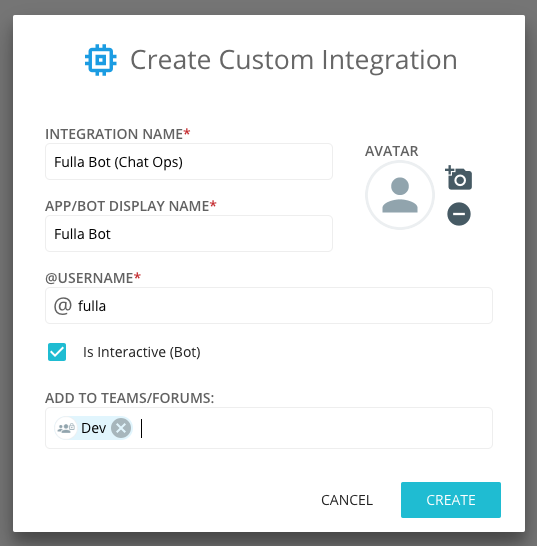 Once you click the CREATE button, you will be able to add webhooks from the Features tab of your Custom Integration dialog, or click on the Tokens tab to create one or more access tokens. Check out https://api.ryver.com for more on creating webhooks and bots.